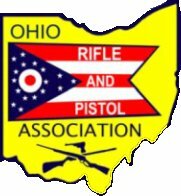 2019 Membership Application has been revised March 21,2019 (NRA Fee) from the updated version of July 2018. Your renewal application must be submitted by the deadline, no exceptions. Renewing Members (who didn't complete in 2018) and New Members will have to attend an Orientation/safety meeting prior to getting the gate code. 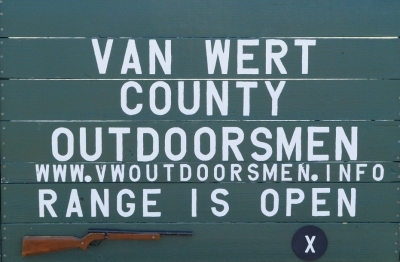 Welcome to the official website for "The Van Wert County Outdoorsmen Association, Inc."
We have been serving our communities for over 50 years. Our organization was established to promote firearm safety and to promote the education of future generations of hunters and sportsmen alike. To provide opportunities for club members to engage in the sport of hunting and fishing. To seek and procure better fishing and hunting opportunities for sportsmen. To encourage the practice of good sportsmanship and compliance with local, state, and federal fish and game laws. To support wildlife conservation programs and to assist wildlife management programs. To strengthen landowner-hunter cooperation and understanding. To increase the knowledge and practice of hunting skills, marksmanship and other outdoor recreation skills, that is in harmony with the sports of hunting and fishing. To encourage organized rifle, shotgun, pistol and revolver shooting among citizens of the United States residing in our community with a view toward a better knowledge on the part of such citizens of the safe handling and proper care of firearms, as well as improved, marksmanship. To educate and increase the proficiency of its members concerning scientific advancement and progress in the field of small arms including, but not limited to, the ammunition and accessories as well as the arms themselves. To forward the development of those characteristics of honesty, good fellowship, self-discipline, team play and self-reliance which are the essentials of good sportsmanship and the foundation of true patriotism. To cooperate with other organizations which share our objectives. We are a NRA affiliated club and do require that you belong to the "National Rifle Association" as a prerequisite of joining our organization. We also ask that you support the organization through regular participation in activities and attendance at regular scheduled meetings.